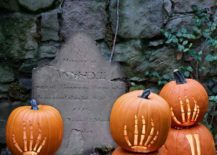 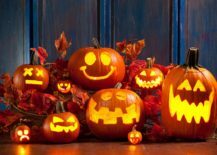 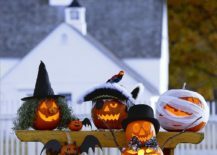 It is that time of the year again when the streets are filed with spooky signs, pumpkins line our doorsteps and everyone wants to get in on some Halloween fun. 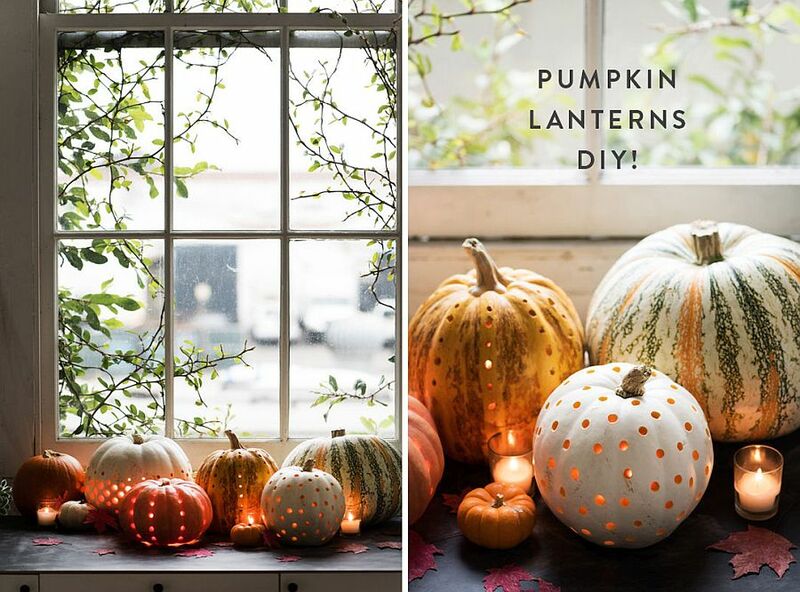 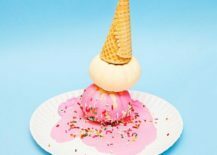 Think Halloween and our minds instantly wander towards images of glowing jack-o-lanterns and an endless array of DIY pumpkin crafts that fill the neighborhood. 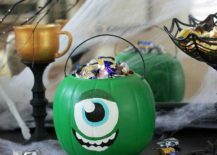 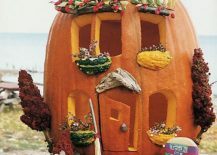 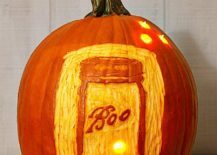 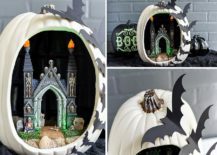 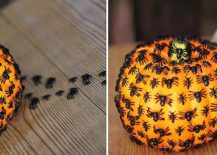 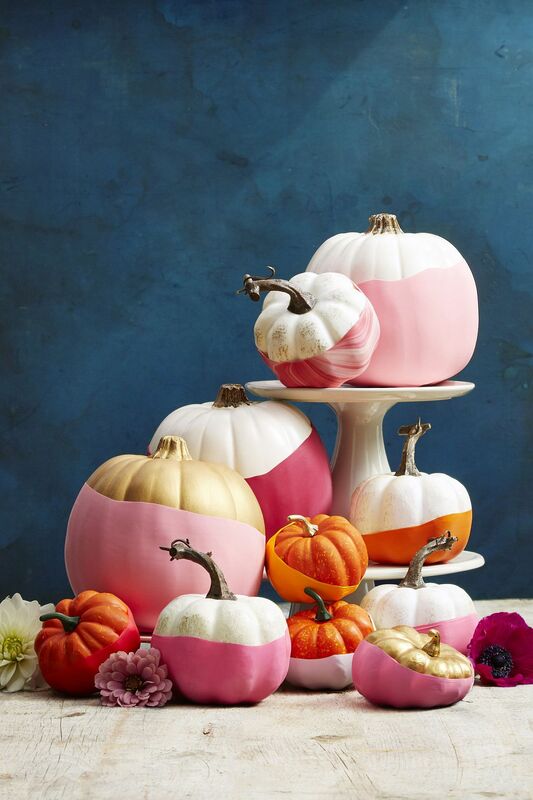 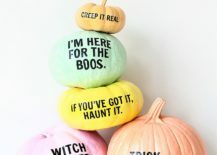 This is precisely why we have decided to showcase the 100 best pumpkin decorating ideas that will serve you well not just over the Halloween weekend, but also deep into the festive season and beyond. 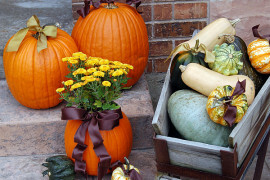 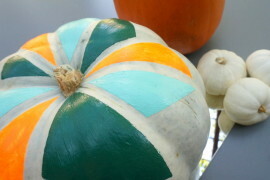 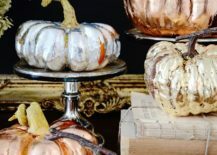 Whether you are running around to find some quick and easy, last-minute pumpkin decorating ideas or wish to add to you decorating plans with something quirky and exceptionally unique, the stunning collection of pumpkin crafts and DIY projects on display today will surely serve you well. 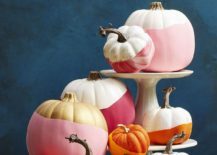 From those hat capture the latest in US election fever to painted pumpkin ideas that showcase the latest design trends, this is your one-stop-guide to all things pumpkin this Halloween. 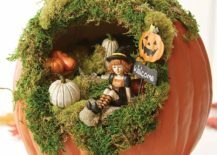 We kick-start today’s pumpkin mania with fabulous pumpkin carving projects that truly epitomize the charm of Halloween decorating at its skillful best. 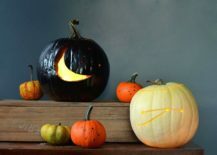 Sure, pumpkin carving is not for everyone, but if you have the adequate skills, then they take very little time and instantly end up grabbing the attention of friends and family on Halloween weekend. 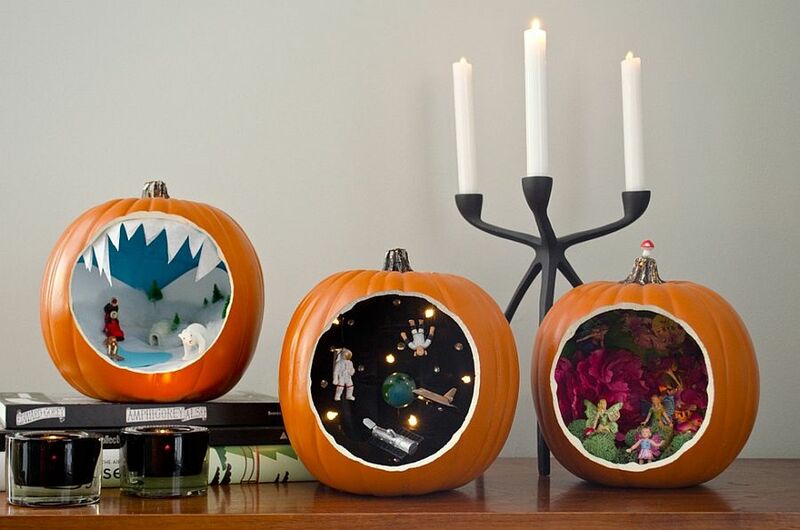 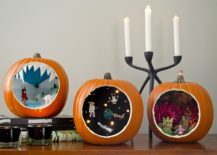 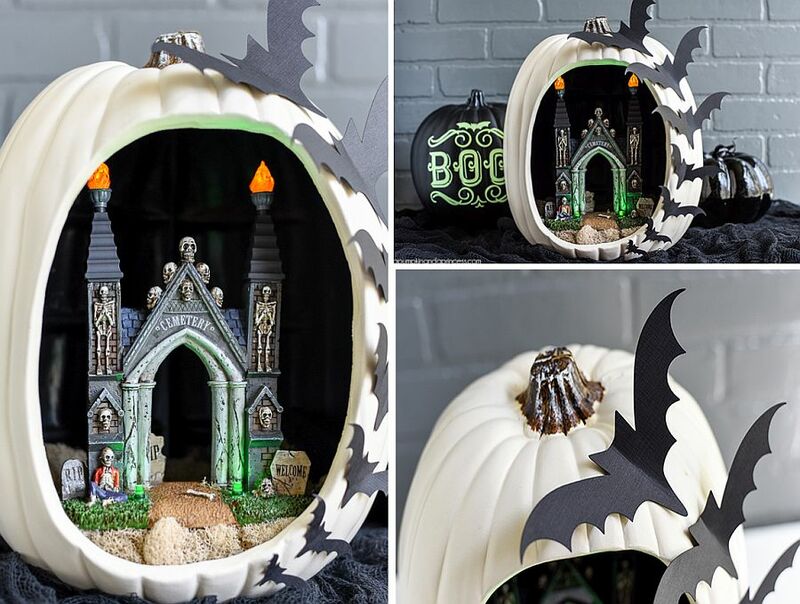 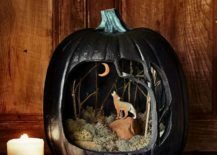 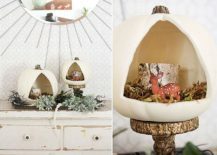 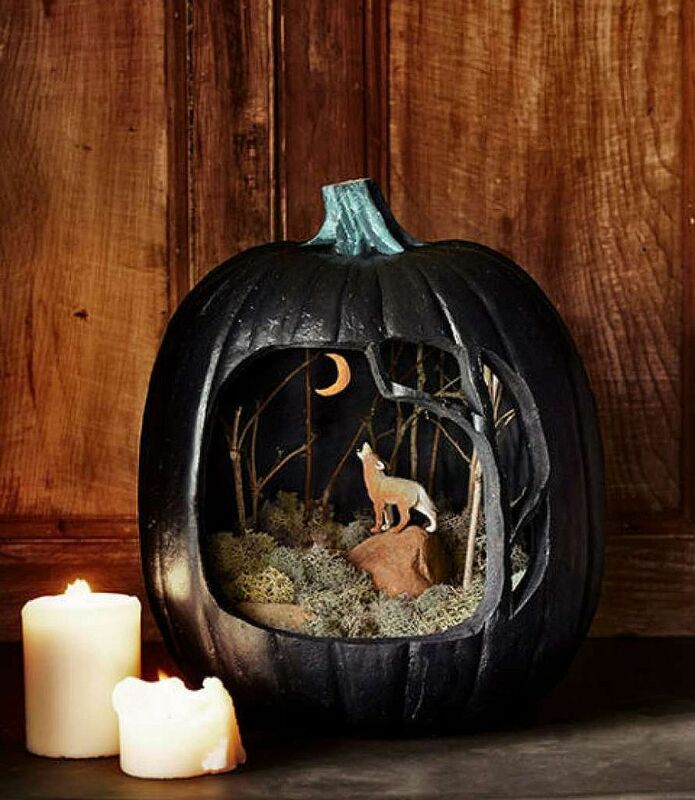 Pumpkin Dioramas are a hot trend, and even though they demand both attention to detail and a high crafting skill level, it is well worth the time and effort. 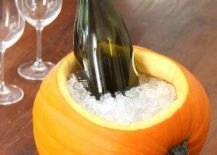 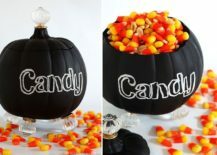 Creations like the pumpkin ice bucket and the stylish treat bowl are far easier to pull off! 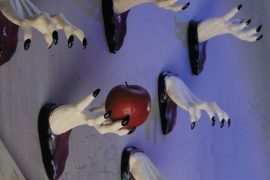 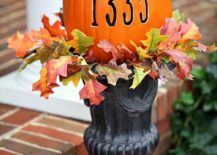 From carefully carved pumpkins that seem like skeletal hands reaching out of the grave to ones that display your door number, the choices are seemingly endless! 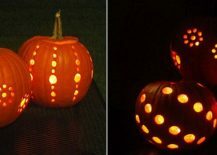 Let us state it clearly up front – Halloween without proper lighting is absolutely nothing at all! 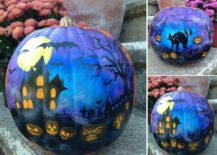 Despite all the focus on stencils, crafting and pumpkin carving, the true spirit of Halloween only comes alive after sunset, with darkness adding to the chill in the air. 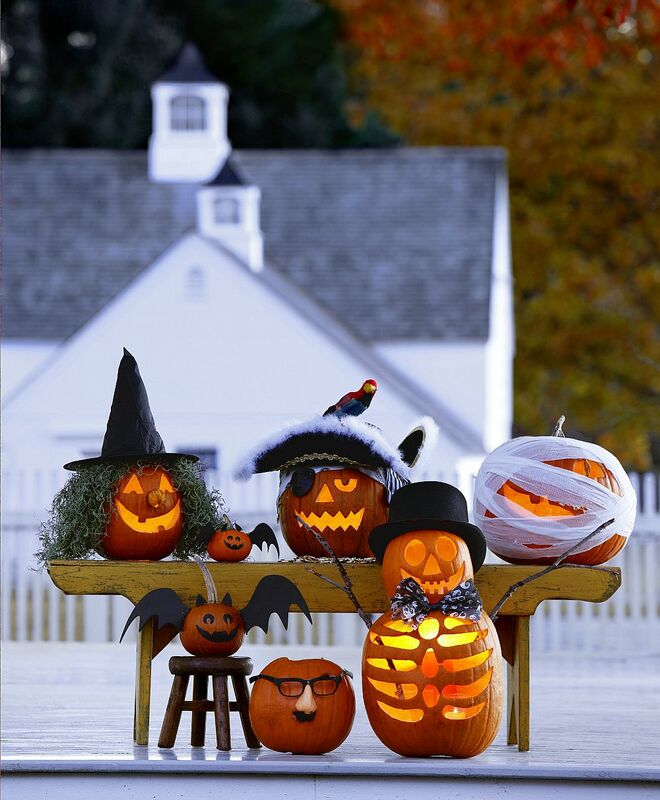 Combining your pumpkin carving skills with smart lighting can deliver results that turn your home into the star attraction of the neighborhood! 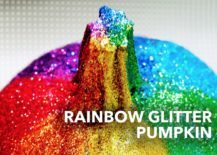 (If you want that kind of attention.) 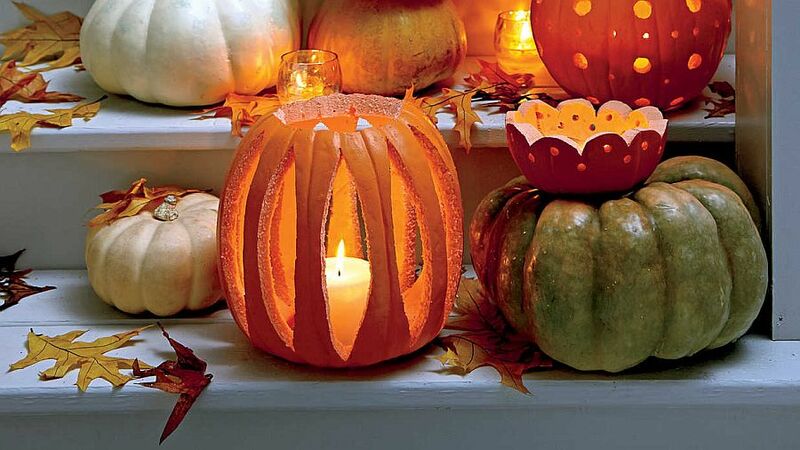 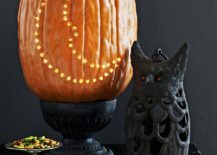 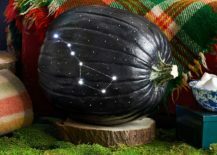 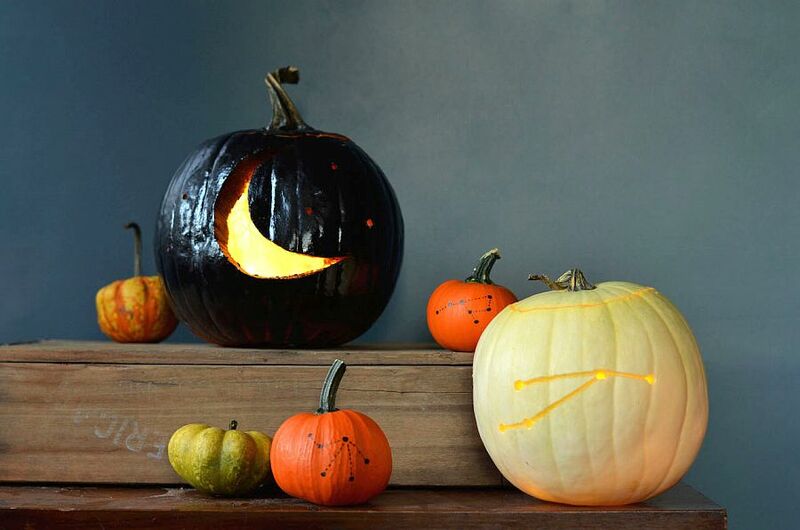 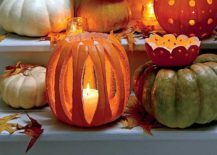 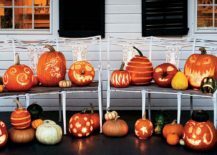 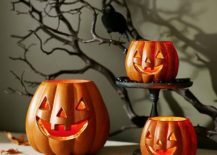 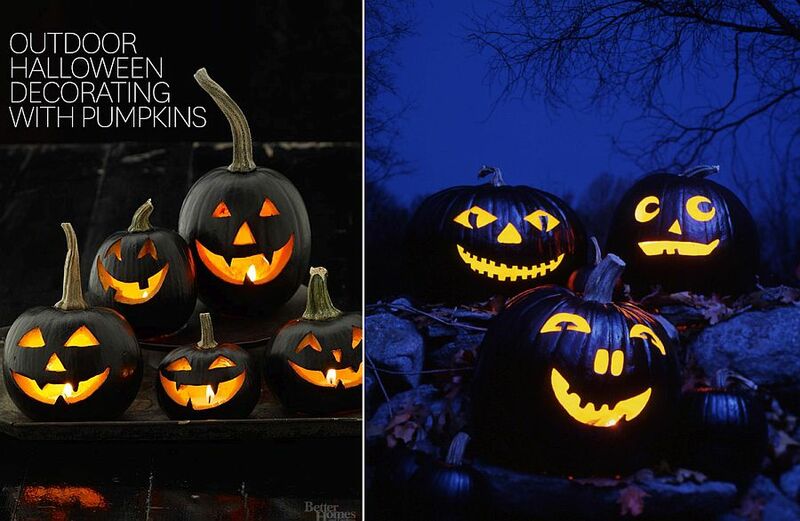 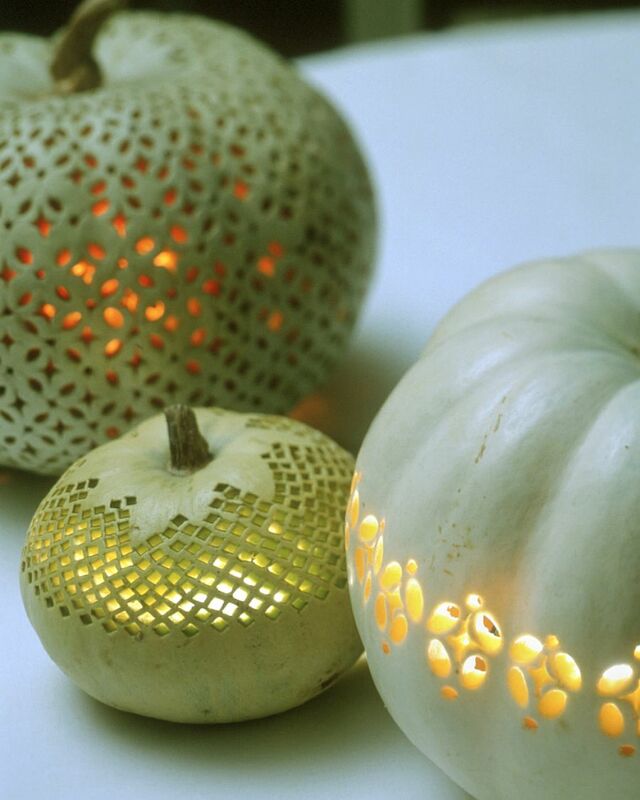 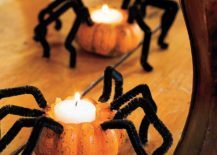 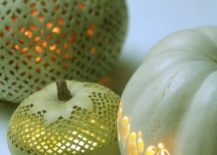 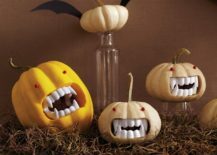 Drilled pumpkins with candle lighting also make for a fun addition, and these dazzling delights can range from spooky and dark Jack-o-lanterns to beautiful pumpkins that bring the star-studded night sky indoors. 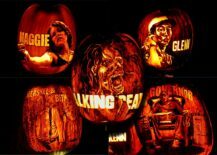 You do not want to miss the gallery above! 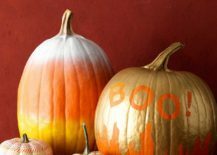 Speaking of hot trends and pumpkin decorating ideas for Halloween, you simply do not want to miss out on painted pumpkins. 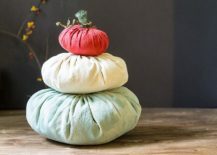 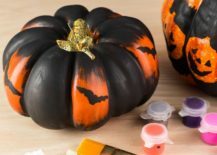 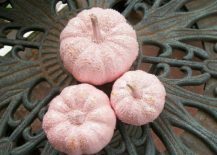 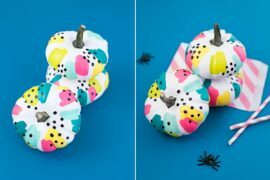 These multi-colored delights allows those many of us with limited crafting and pumpkin carving skills to still churn up a few masterpieces that hold their own when added to the Halloween decorating scheme. 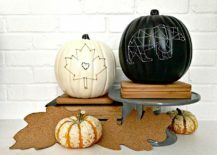 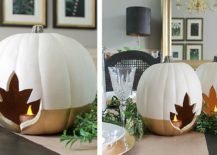 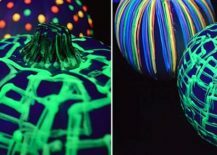 The glow in the dark pumpkin is our personal favorite here and you can even add a spooky motif or stencil to give it a Halloweenier look. 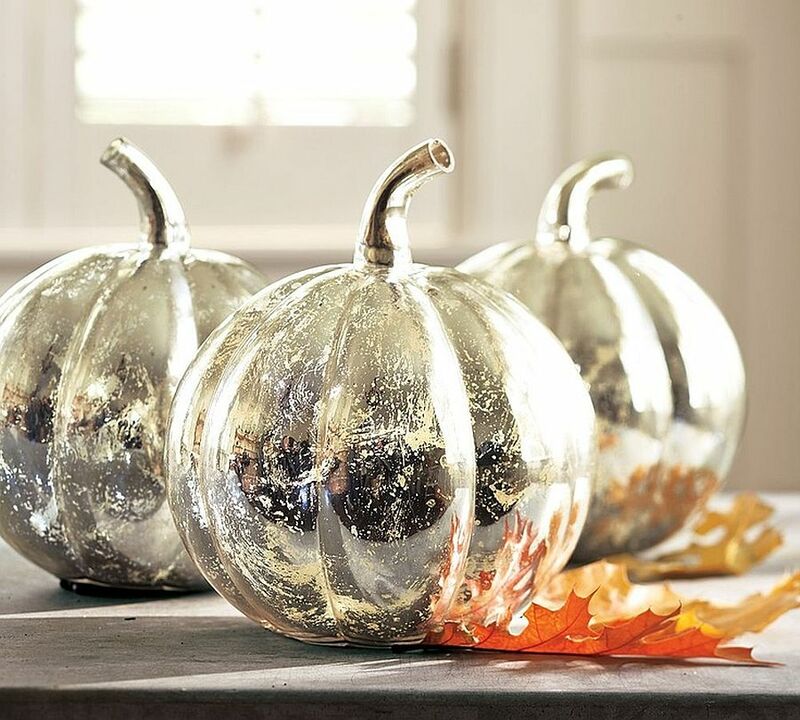 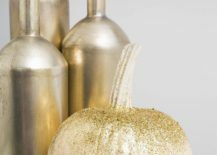 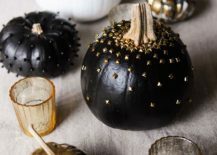 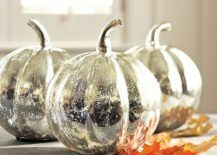 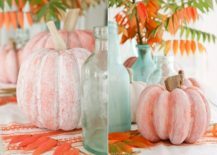 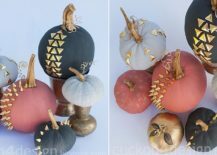 Paint-dipped, splattered pumpkins, those clad in chalkpaint and decorated with metallic studs, one with ombre goodness and a few that bring in metallic golden glint – combine them all for a stunning and mesmerizing pumpkin display. 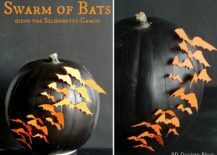 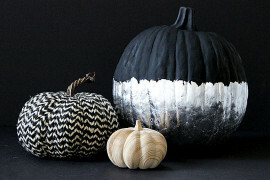 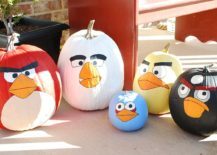 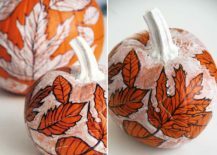 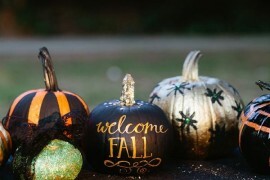 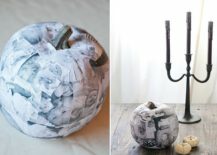 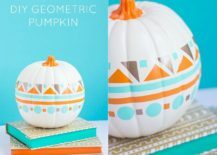 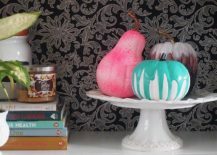 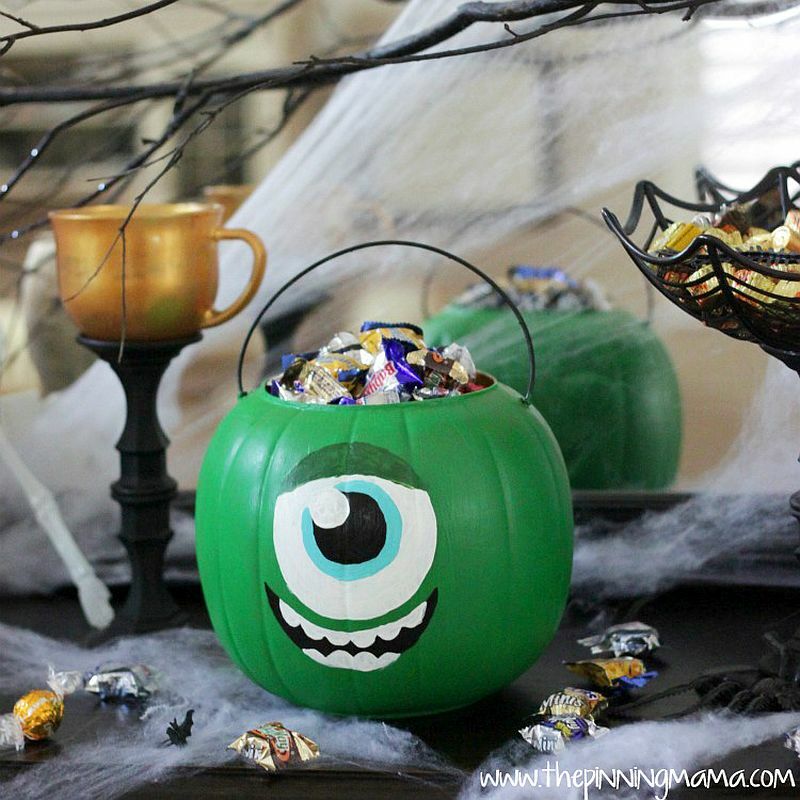 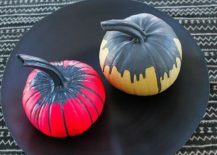 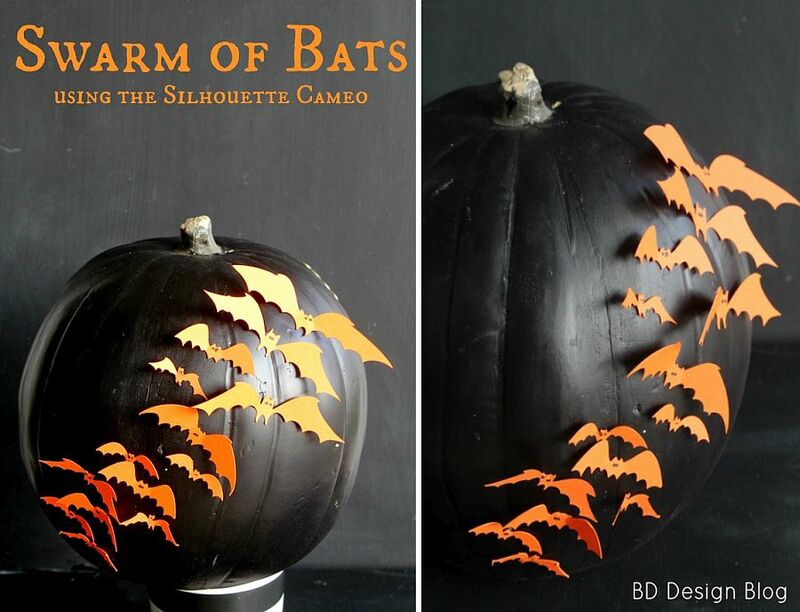 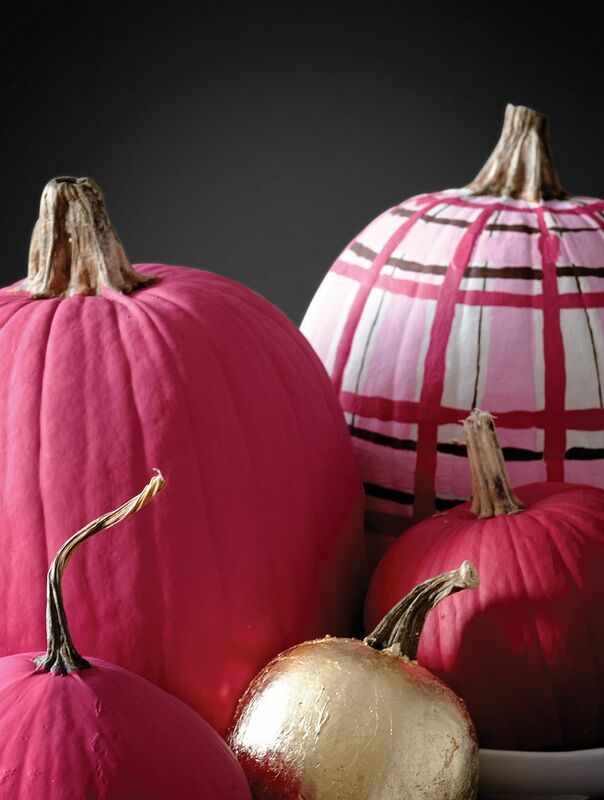 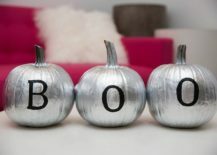 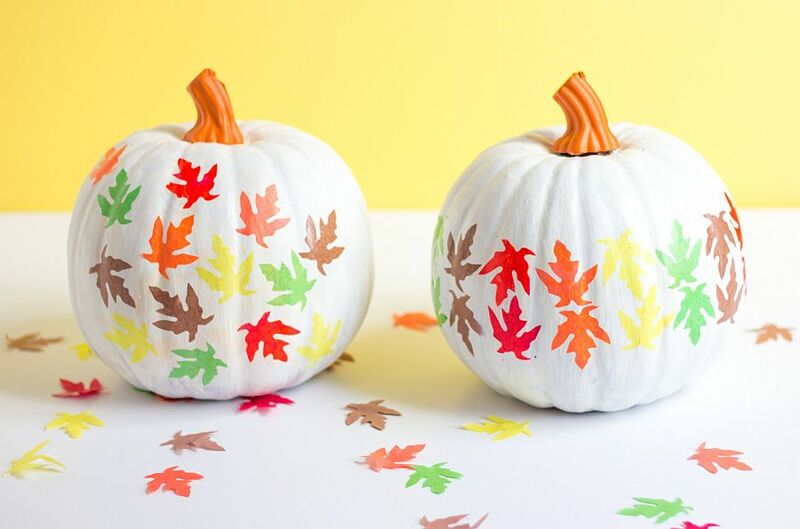 RELATED: 25 Awesome Painted Pumpkin Ideas For Halloween And Beyond! 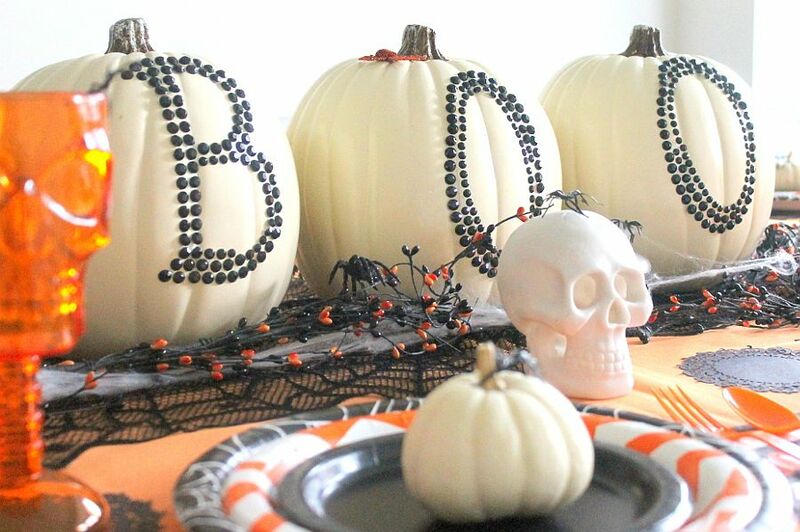 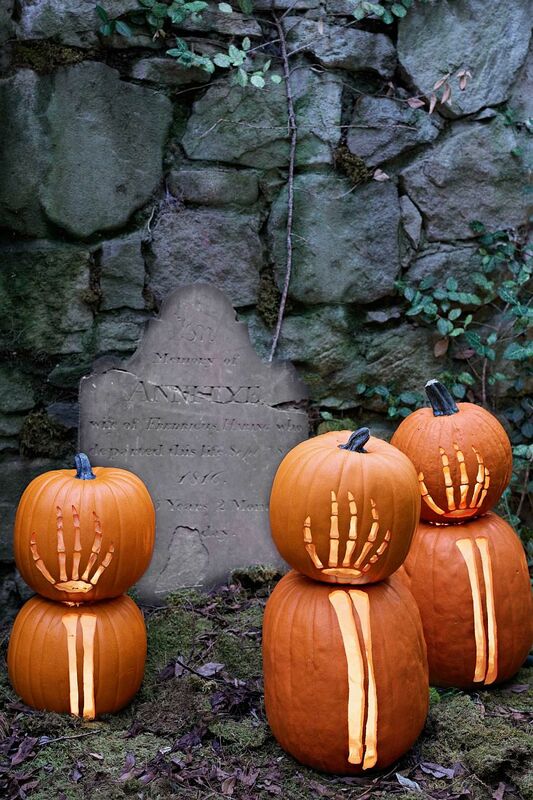 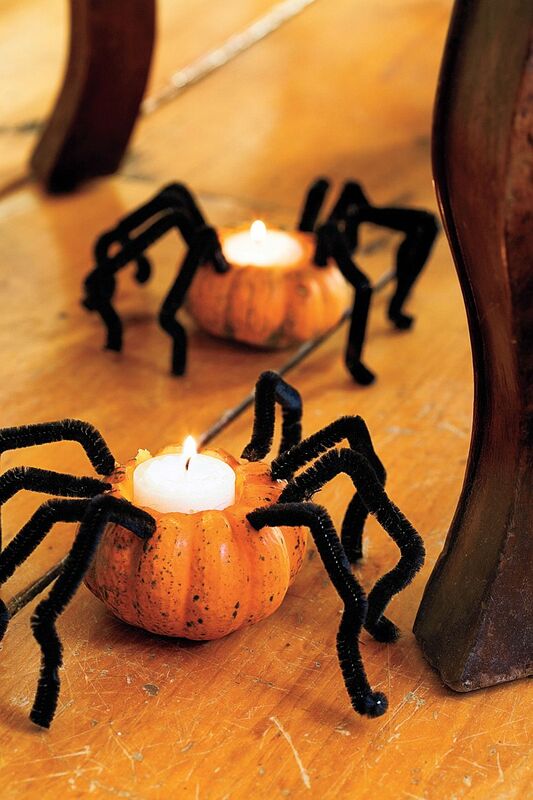 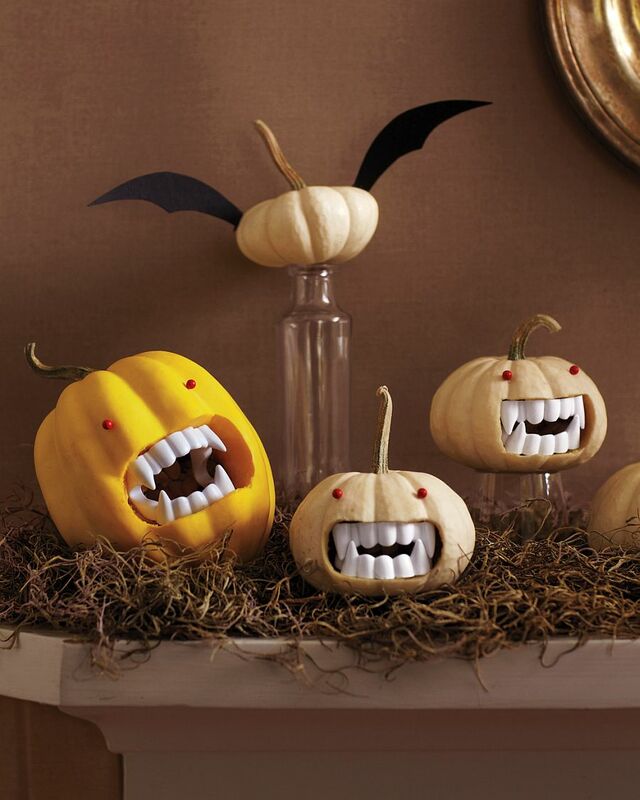 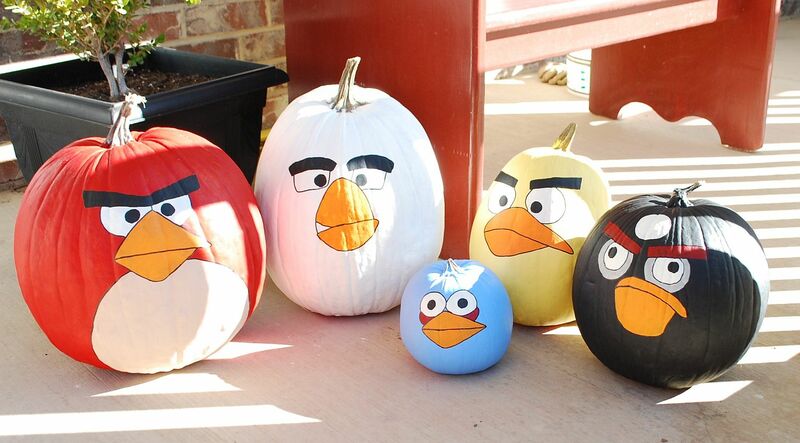 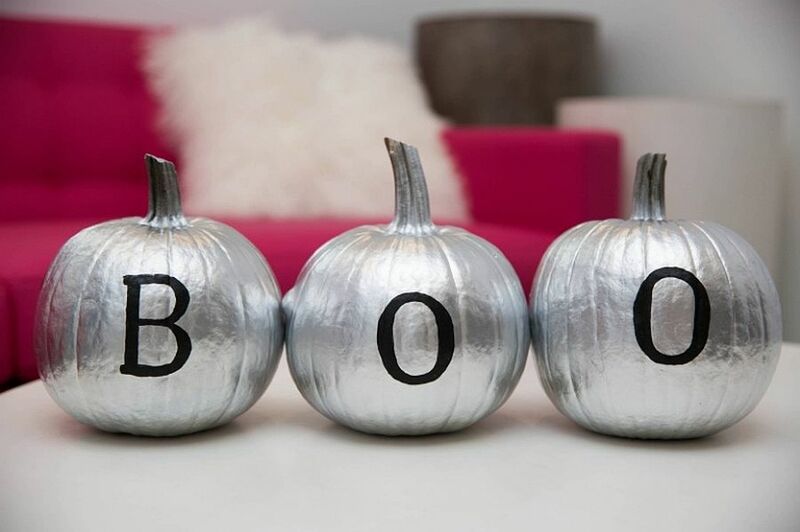 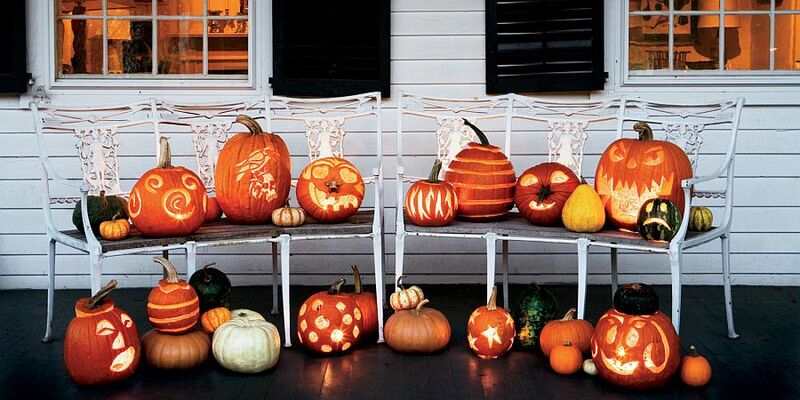 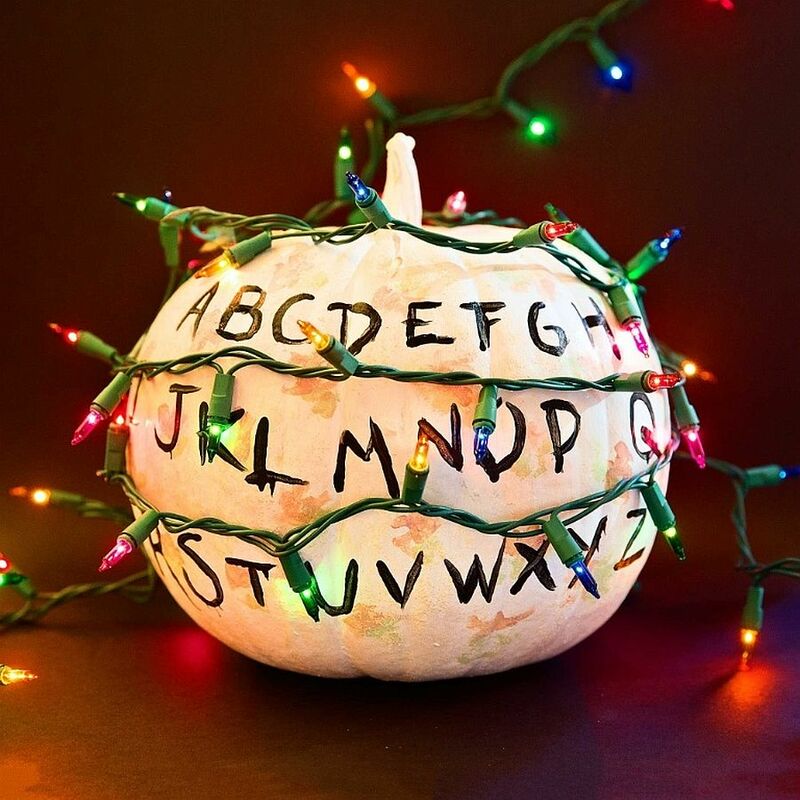 This is undoubtedly our favorite pumpkin decorating style of them all. 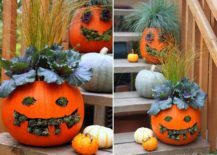 In a generation of twitter, Facebook and all things trendy, it only makes sense that your Halloween pumpkin decoration reflects the world around you. 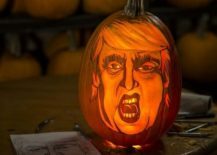 With the US elections dominating airwaves all across the globe, Trump-kins are popping up pretty much everywhere, even across the Atlantic! 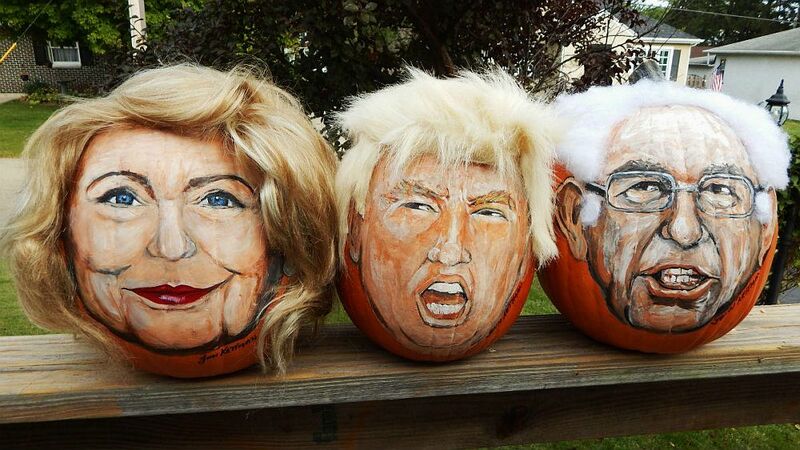 Of course, Hillary is not to be left behind either, with some homeowners creating detailed and eerie carved pumpkins of both presidential hopefuls. 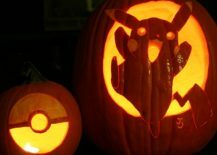 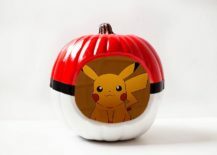 Then there is the Pokemon GO craze and pumpkins crafted to reflect love for this awesome game. 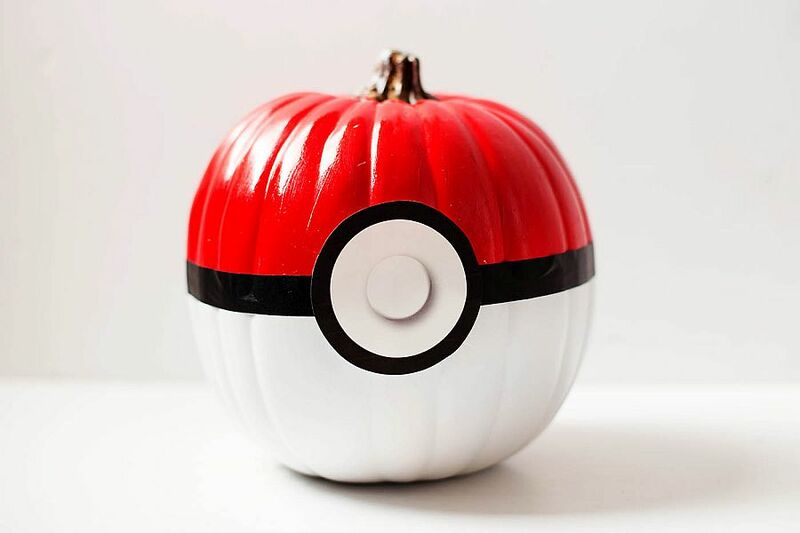 While some require crafting skills, the Pokeball pumpkin is far easier to create. 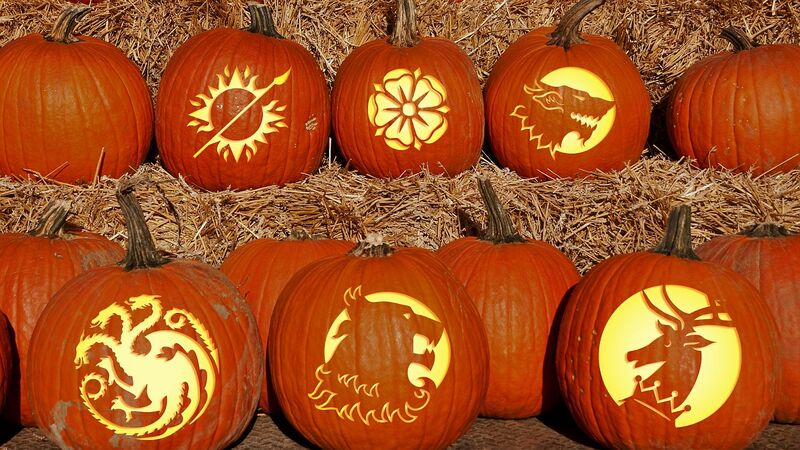 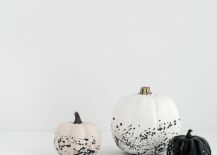 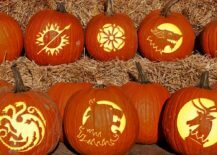 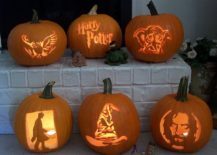 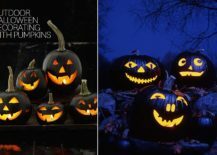 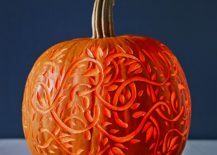 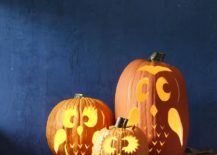 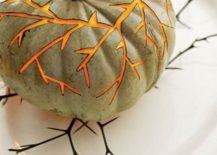 From Game of Thrones-inspired pumpkins to Harry Potter-themed pumpkins that crop up every year, you can pretty much choose any motif and then use a stencil to get the job done. 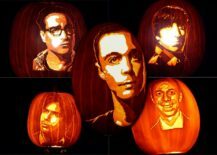 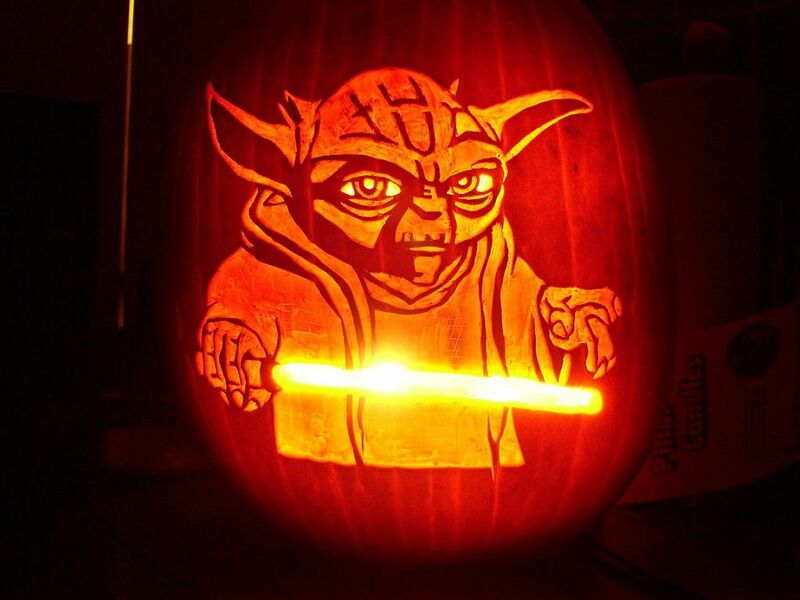 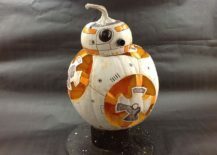 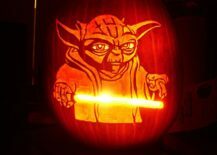 Walking Dead, Big Bang Theory or just good ol’ Star Wars… Time to showcase your fandom with pumpkin decorating this Halloween! 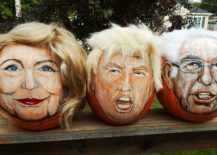 Maybe you want your Halloween pumpkin decorations to reflect more fashion and decorating trends than those borrowed from the world of politics and TV. 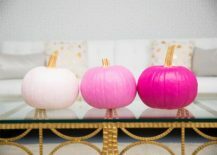 Not to fret, as this section offers everything from Dolly pumpkins that are super-cute to ones that bring both chevron pattern and copper glitter to your home. 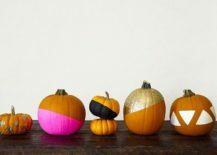 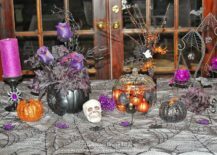 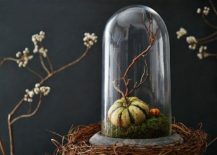 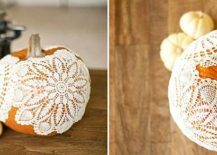 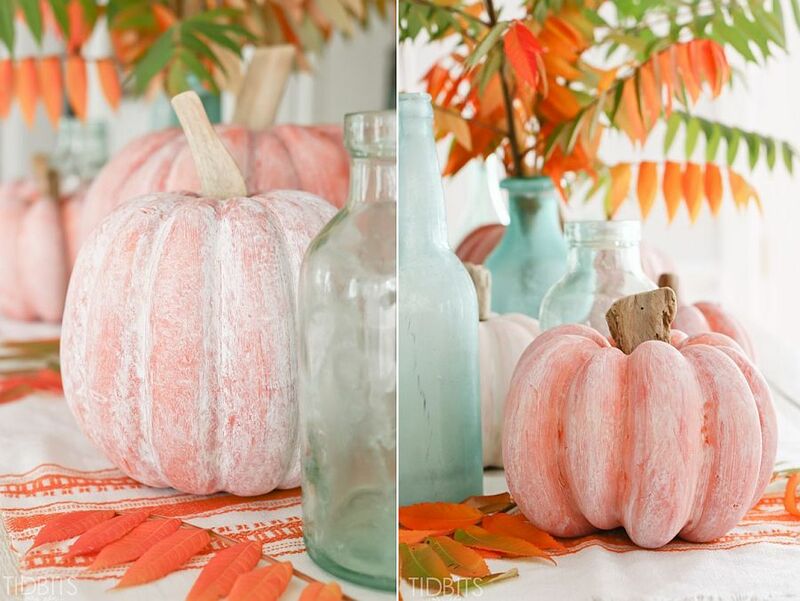 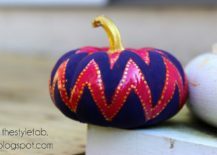 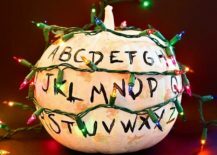 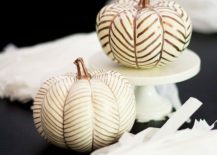 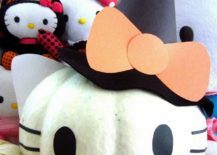 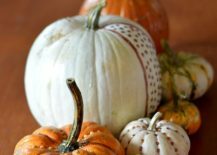 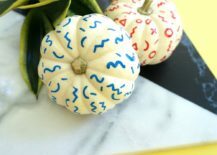 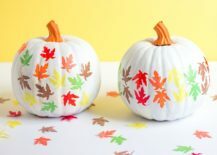 Most of these awesome pumpkin decorating projects can last well beyond Halloween, and with a simple change of environment that surrounds them, they can seem equally Thanksgiving-y or even Christmas-y. 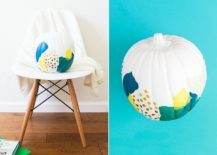 Be it geo style or pastel panache, these fab projects have it all! 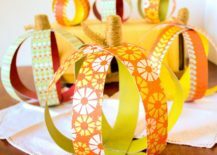 So, you have been practicing your crafting skills all year long waiting for the Holiday Season to start? 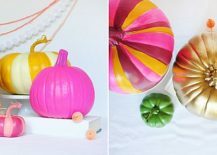 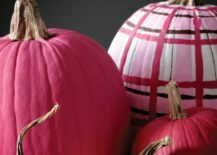 Well, then here is ample inspiration for you that lets you craft everything ranging from string art pumpkins to those that simply dazzle and enchant with their multi-colored, rainbow goodness. 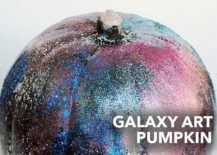 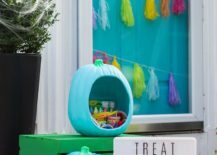 Custom trick-or-treat buckets crafted from pumpkins are also a big hit with kids, and you can even get them involved in the crafting process with some of the simpler projects like the DIY galaxy art pumpkin. 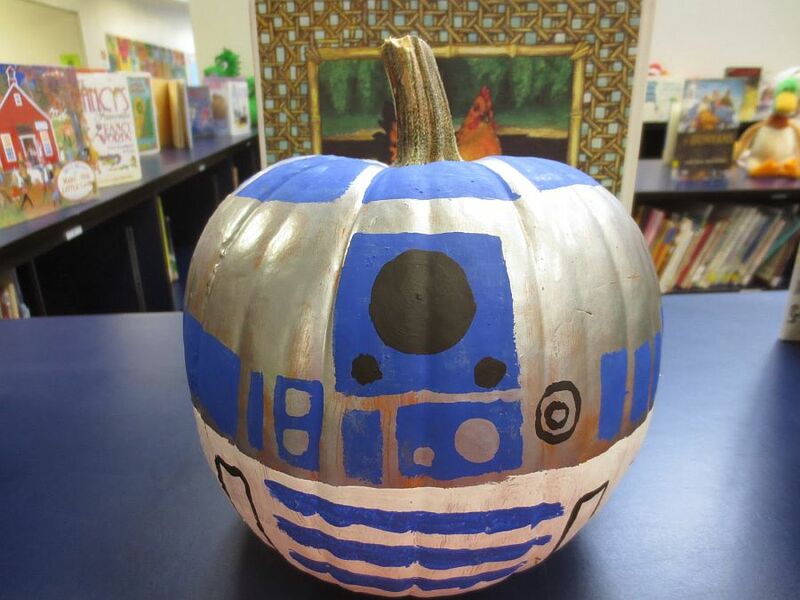 R2D2 Halloween pumpkin can be even crafted by kids! 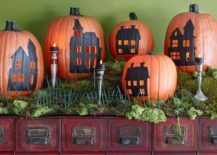 We understand that many homeowners simply do not have enough time to make separate pumpkin decorations for Halloween, Thanksgiving and Christmas. 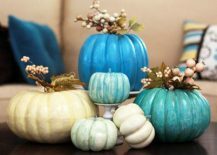 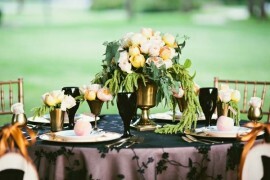 It does make sense to opt for decorative pieces that will serve you through fall and well into the new year. 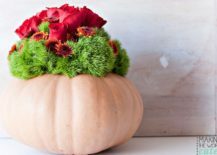 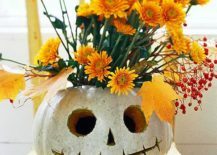 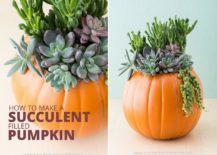 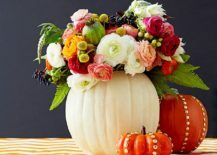 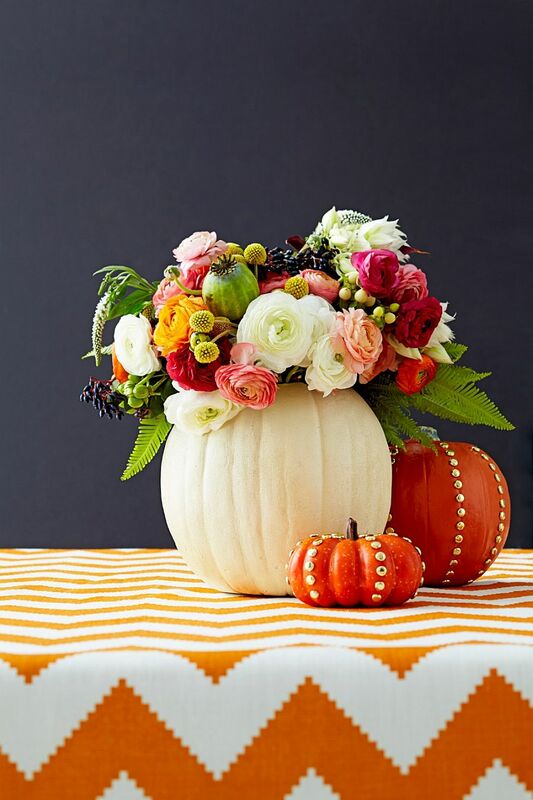 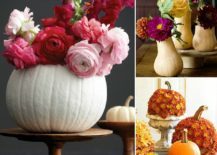 Combining pumpkin carving with flowers and succulents is a great way to accomplish this, even while creating versatile centerpieces for the fall dinner table. 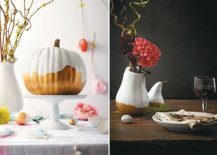 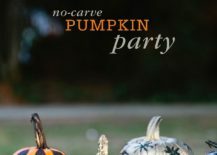 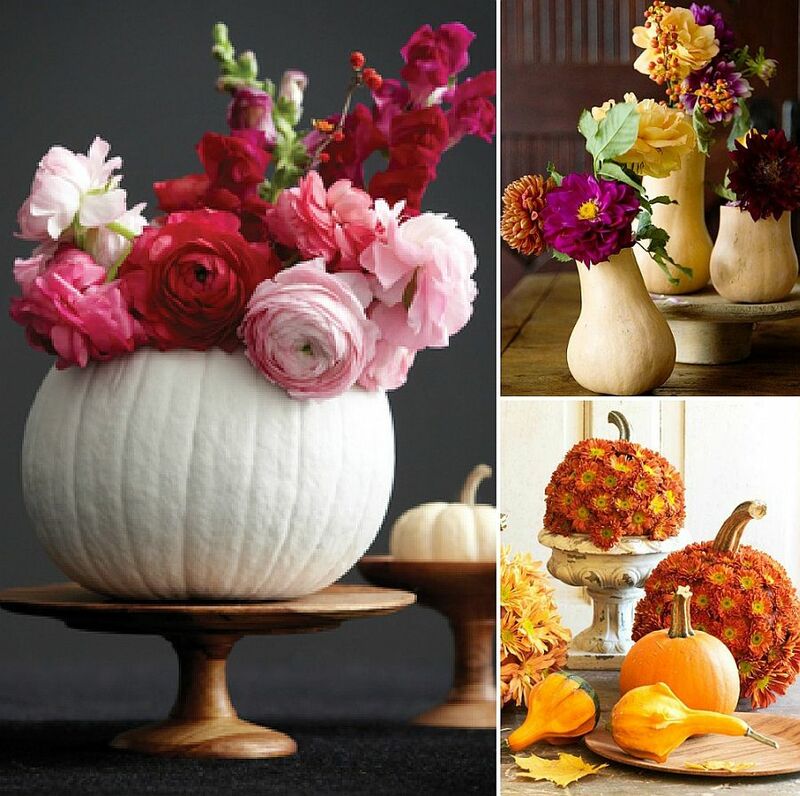 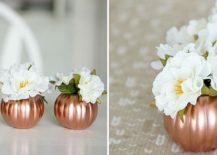 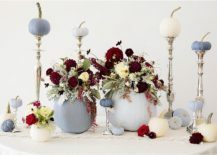 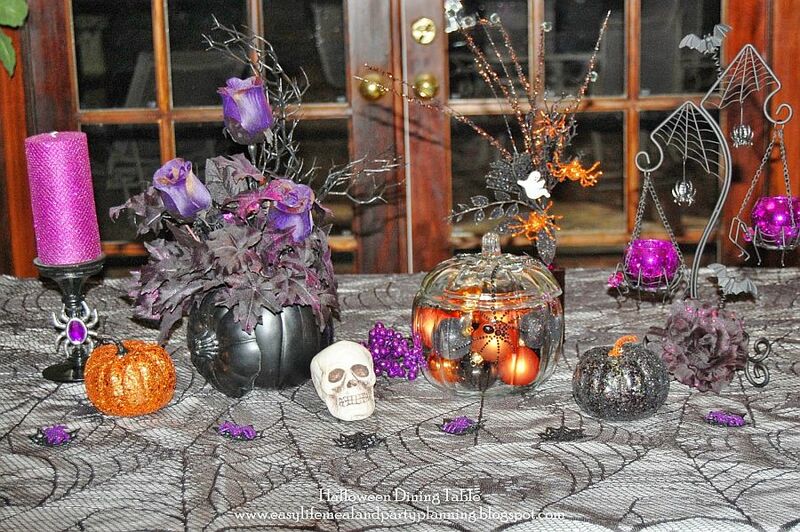 Painted pumpkins and DIY copper pumpkins coupled with fresh flowers lead the pack here, as they are super-easy to craft, but you can also combine a variety of carved and painted pumpkins to create a stunning tablescape that ends up becoming the highlight of your Halloween party.